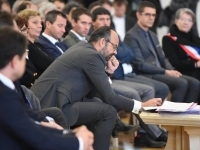 The French, PM Edouard Philippe unveiled today, at the Grand Palais, the first conclusions from the Great National Debate, (« Grand Debat ») before the arbitration that will be carried out by the President of the Republic in April, 2019. The decline in taxation among others, the track to lower VAT to support the purchasing power, or the audio-visual axis or inheritance rights. The Prime Minister. The so-called « Grand Débat », or Great National Debate is a nationwide public consultation launched by President Emmanuel Macron in January in response to the Yellow Vest protest movement. “We have reached a point where hesitating would be worse than a mistake, it would be a failing,” the Prime minister told a crowd in Paris today. “The need for change is so radical that any conservatism, any cold feet, would be in my eyes unforgiveable,” he said before sketching out four requirements to emerge from the debate: cutting taxes, addressing the sentiment of neglect in some territories, building tools for a “more deliberative democracy” and better responding to climate concerns. 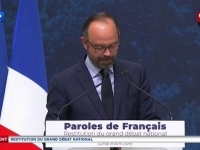 The PM, Edouard Philippe was confronted to the "immense fiscal exasperation", highlighted over the Grand Debat. He, then expressed that the government must "lower taxes faster," during the presentation of the results of the great national debate in order to calm the crisis of yellow vests that is still lasting for nearly five month. 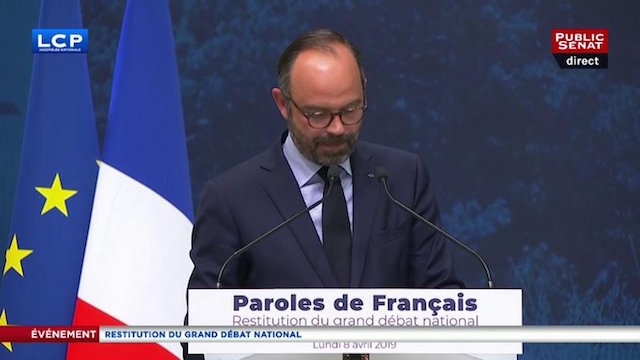 THE PM ADDRESSED FOUR MAIN ELEMENTS ISSEUD FROM THE GRAND DEBATE------------------------------------- The French PM addressed 4 main points that came out of the Grand Debate National #GrandDebatNational. 1. A reduction of taxes. 2. Ending inequality between rural and urban areas. 3. Transparent institutions. 4. A fair environmental transition. Tax cuts needed – and fast In outlining some of the key demands that surfaced from the hours of discussions and in the reams of data, Philippe noted “an immense fiscal exasperation”. “The debates, I believe, clearly indicate to us the direction to follow: We must, and more quickly, lower taxes.”“The French have also understood, with a lot of maturity… that we cannot lower taxes if we do not lower public spending,” the prime minister added During his remarks at the Grand Palais, Philippe conceded that any attempt to summarise the “tens of millions of words and tens of thousands of ideas” put forward during the exercise would necessarily appear simplistic. 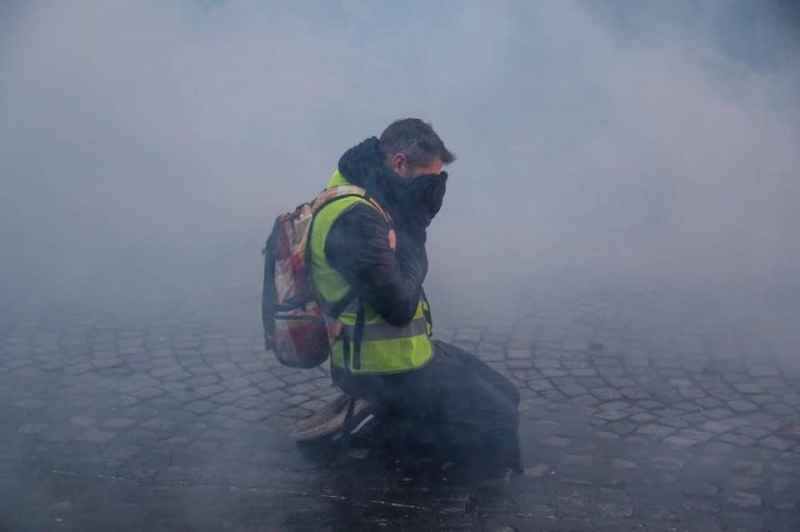 The Yellow Vests has pushed the government to initiate the Grand Debate, to appease the movement of the Yellow National protest, including the numerous clashes, with police, material damages, arrestations, and custodies, over the 21 consecutive weekends, since November the 17th. Yet, 1,5 M people have been participating the Grand Debate, (Web consultation), are not representative of the French people, versus the 44 Million of French voters. But those town hall debates were merely the top of the Grand Debate iceberg. 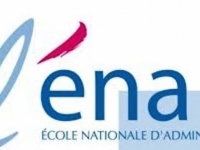 ENA THE MOST PRESTIGIOUS PUBLIC SCHOOL OF THE FRENCH ELITE TO BE REFORMED-------------------------- Change the means of accessibility to the ENA, the largest pool of technocrats and senior officials and France, forming the elite often from large schools, such as Sciences Po. The reform of the ENA plans to expand the audience ENA has candidates of more modest origin and diversity. 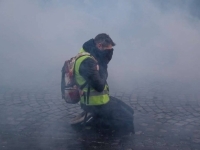 Amid the outpouring of popular condemnation displayed on French roadways and roundabouts, that tax hike was quickly shelved and more than €10-billion worth of government measures pledged to ease cost of living concerns. But the popular movement soon grew into a backlash against Macron’s administration and elites more broadly. Discussions, about changing the access to ENA (Ecole Nationale de Administration) due to the talent, and skills rather than the cronyism.cThe French President Macron launched the nationwide debate In January, saying he “intended to transform anger into solutions”. 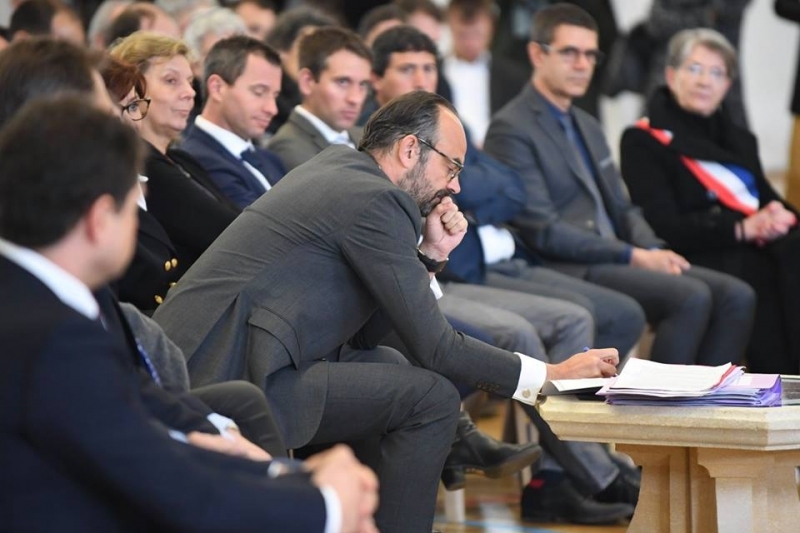 Last week in Corsica, the French President Macron wrapped up the last in a series of marathon town hall meetings, televised and live streamed, that saw him take questions for several hours at a time in cities and towns across the country. The initiative of the Grand Debate, has cost €12 Million --------------------------------------------------- PARTICIPATION TO THE GRAND DEBAT IS NOT REPRESENTATIVE TO THE FRENCH VOTERS In the end, visitors to the "granddebat.fr" platform contributed 1,932,881 answers and comments to the debate online, in addition to the 27,400 letters and e-mails sent. At 16,337 city and town halls across the country, comment books were made available for the public to leave their concerns and suggestions. The data collected – some 630,000 typed or handwritten pages – were processed by 150 people, either manually or using automated text analysis software, and are available en masse to anyone interested, the prime minister said, stressing that there isn’t an official reading of the nearly-three-month debate. A total of 10,134 local meetings were held, drawing nearly half a million participants; 282 of those rendez-vous were conducted abroad, in 82 countries.